In November 2012 Chad and I went to an amazing Chihuly glass installation at the Dallas Arboretum. 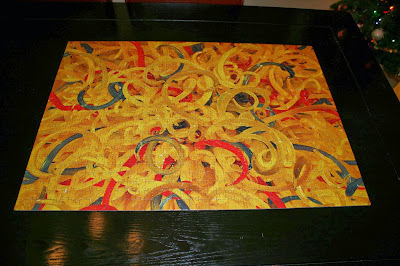 It wasn't until September 2013, that I actually started the puzzle I bought there. Then I didn't touch it for a few months. 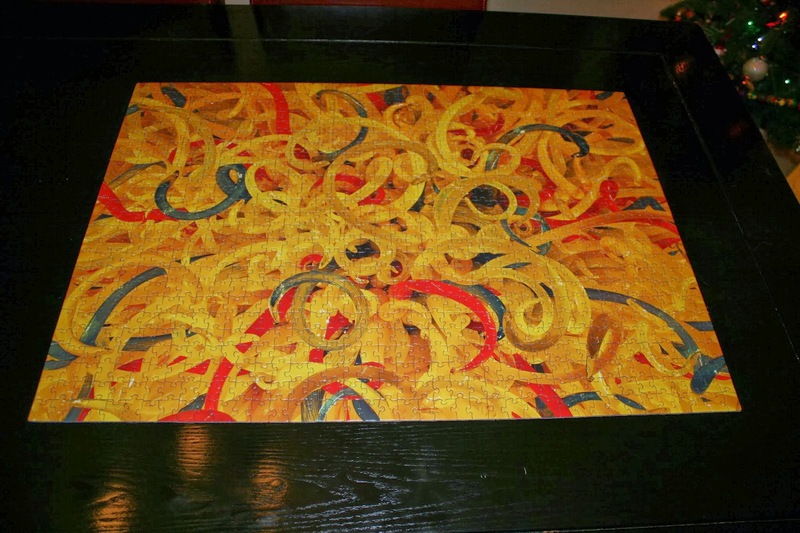 With only one day left in 2013, Chad and I finally finished the most difficult puzzle we've ever done. Yep. It's a non-stop party at the 1952 House.